The American Alpine Institute is pleased to announce the 2018 Guides Choice Award Winners! 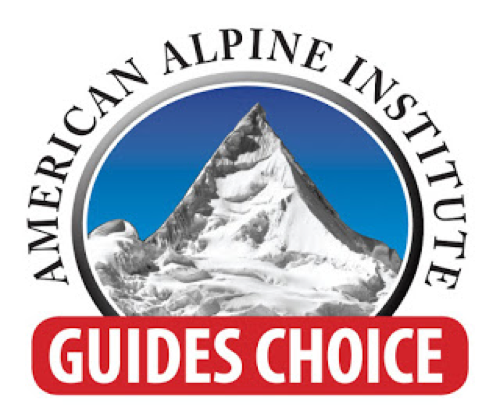 The Guides Choice has been a highly valued award for over 20 years and is long coveted by manufacturers and industry insiders. A core group of AAI guides thoroughly test products in a variety of demanding conditions across 6 states and 16 countries. 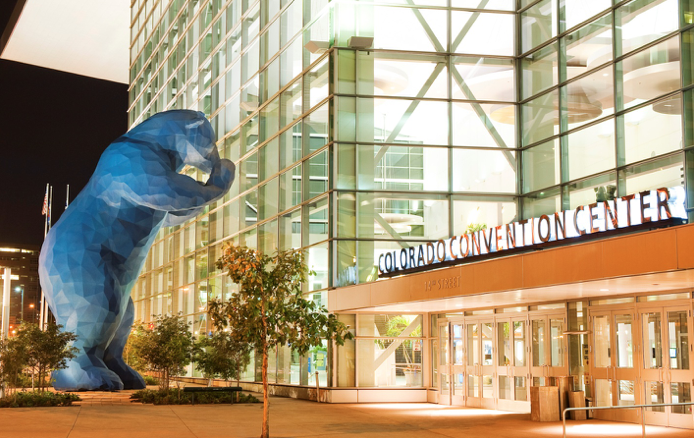 The Guides Choice Award winners were revealed at the Outdoor Retailer show this week in Denver. “Our guides love this piece. It was designed for fly fisherman, but works great for climbers. 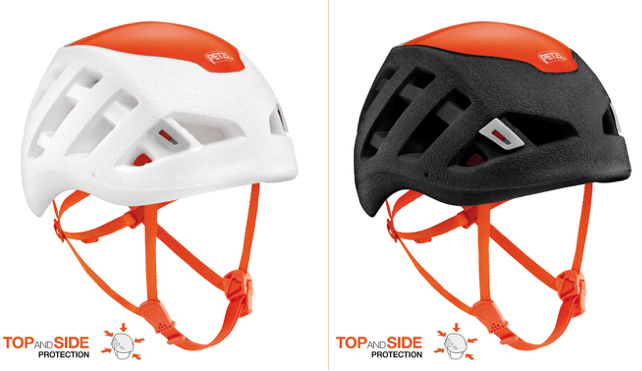 And even thought the hood wasn't designed to fit over a helmet, it fits great.” Christian Schraegle, AAI Retail Manager. This comfortable, quick drying hoody wicks moisture and provides UPF sun protection and permanent odor control for hot weather. Classic, relaxed tee silhouette with generous hood designed to fit over a baseball cap. Thumb holes for added sun protection for the backs of the hands. 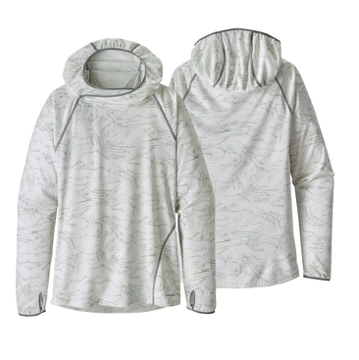 Quick-drying, super breathable technical hoody for warm weather with UPF sun protection. To achieve sun protection, Patagonia takes a varied approach, depending on the degree of protection desired and the fabric used. 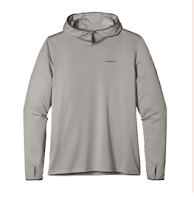 Elements of the strategy range from yarn selection to fabric construction to the use of special finishes (especially for light colors which generally provide less protection). “I really appreciate the mastery of the engineering design on any Soto products, especially in the stove department. I started using a WindMaster in 2014, and now it's the only stove I use on my trips.” Richard Riquelme, AAI Guide. Soto says… “Boil 2 cups of water in under 2-1/2 minutes in strong winds and gusty weather. This stove is well-made and able to stand up to harsh conditions.”… We have tested the WindMaster stove on trips to Mount Baker in the North Cascades, on trips to Denali in Alaska up to 18,000-feet, on the summit of Aconcagua summit at 22,841-feet, and in Bolivia up to 21,000-feet. The stove always operated perfectly. It never failed to fire up and worked well regardless of the wind or temperatures. The Soto WindMaster OD-1RXC is designed so that the pot sits close to the flame, which makes it more efficient in windy weather. and results in increased efficiency and boil time. The concave design of the burner head creates the effect of a built-in windscreen. 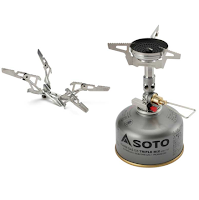 The interchangeable pot supports make this stove efficient for whatever size pot your adventure requires. “These things really keep water hot longer than any other bottles on the market. We tested it on Aconcagua on summit day. A climber got too cold and we thought we were going to have to turn him around. We had a hot drink that we prepared a number of hours earlier in one of these bottles. The climber drank the fluid, recovered and was able to finish the summit that day...!" Richard Riquelme AAI guide. 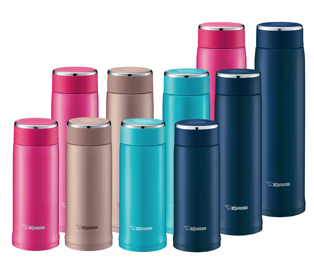 The stainless mug features an ultra-lightweight, small diameter body that makes it comfortable to hold and carry. The vacuum insulation provides excellent heat and cold retention. Available in 12, 16 and 20 oz. capacities. Heat Retention* - 190°F @ 1 hr. / 165°F @ 6 hrs. Cold Retention** - 46°F @ 6 hrs. “When you wear a Sirocco helmet, you forget that you're wearing a helmet at all. It is incredibly ligth and comfortable. Calvin Morris, AAI Guide. This is an ultra-light and compact crevasse rescue kit works extremely well for skiers who wish to operate in glaciated terrain. 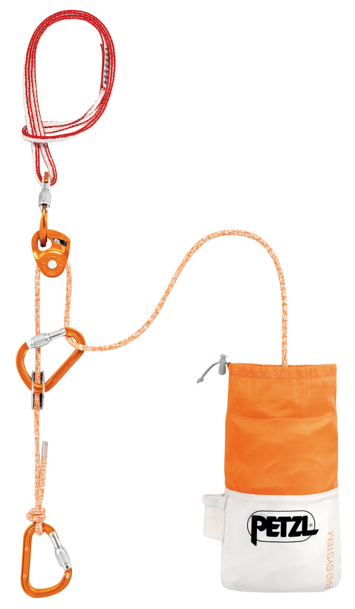 The RAD SYSTEM (Rescue And Descent) kit allows skiers in mountain terrain to always have the equipment necessary for crevasse rescue, rappelling, or roping up to move through a crevasse zone. This kit contains a storage bag, 30 meters of RAD LINE 6 mm specific cordage, carabiners, ascenders and a sling.